Right now, thought, there is an increased bonus option that will earn you 10,000 points more for the same cost (total of 30,000 points). My wife just applied and was accepted for the card – something I’m very grateful for as we travel between Providence, RI and Philadelphia, PA pretty frequently. 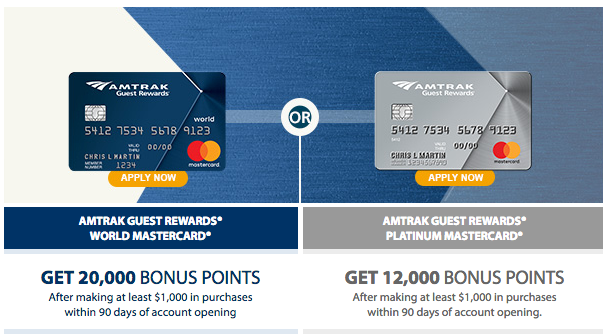 Since you can often find deals within the Northeast corridor for only 2-3k points those extra 10,000 will go a long way. I’ve recently been thinking of cancelling mine and getting another one to get the bonus again. If I do, I’ll take a closer look at some of the rules for re-applying as it seems Bank of America has changed them in the past.